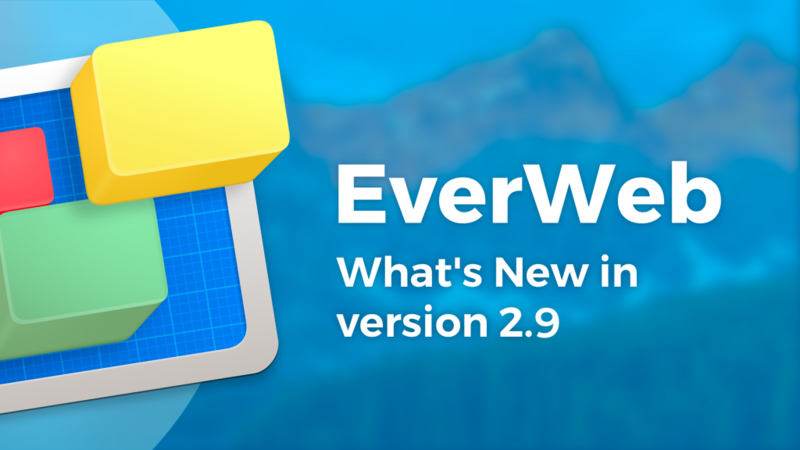 Introducing EverWeb 2.9: More Responsive Features! « Converting Fixed Width Websites to Responsive! We are delighted to announce the availability of EverWeb version 2.9 which adds a host of great new features for designing responsive websites. Highlights include, show/hide objects according to device type, breakpoints, maximum width options for the Responsive Row widget and for full width objects and rulers along the top and left margins of the EverWeb UI. For a complete list of what’s new, improved and fixed, as well as how to upgrade to the new version, please see below! When updating to EverWeb version 2.9, the update process will automatically download the correct version of EverWeb for your macOS. [NEW] Secondary click now includes a Hidden Objects menu option to allow you to select hidden objects at any time. EverWeb version 2.9 is free for EverWeb + Hosting users and EverWeb Standalone users who are within their 1 year of free upgrades and support period. Find out more about the new release of EverWeb in our What’s New in EverWeb version 2.9 video. This entry was posted on Tuesday, February 19th, 2019 at 12:18 pm	and is filed under EverWeb, EverWeb, Software, web site optimization, web site promotion. You can follow any responses to this entry through the RSS 2.0 feed. You can leave a response, or trackback from your own site.